In the summer of 2016, just before the movers came and we left Vermont, I donated my old Parker compound bow, arrows, and accoutrements to our parish garage sale. It speaks volumes of the state that you can donate a lethal weapon to a church for them to sell to the general public as part of an annual fundraiser. Not to worry, a local 4-H archery club purchased the equipment. The Parker was a good 15 years old, but still in good shape from light use. It was easy to let it go since we were moving into a townhouse in Arlington, Virginia. Interestingly, there are plenty deer in the Virginia suburbs, but the area isn’t very welcoming to hunting or hunters. I figured I could buy a new compound bow once we got settled in a new house and if I had room to shoot. Besides, I kept my low draw weight recurve bow – that I use for our annual Thanksgiving Day contest. Fast forward a year and we are in a nice house on 10 acres of mixed meadow and woods. Our location provides more than enough room to shoot. The first problem I faced was no bow (compound bow). 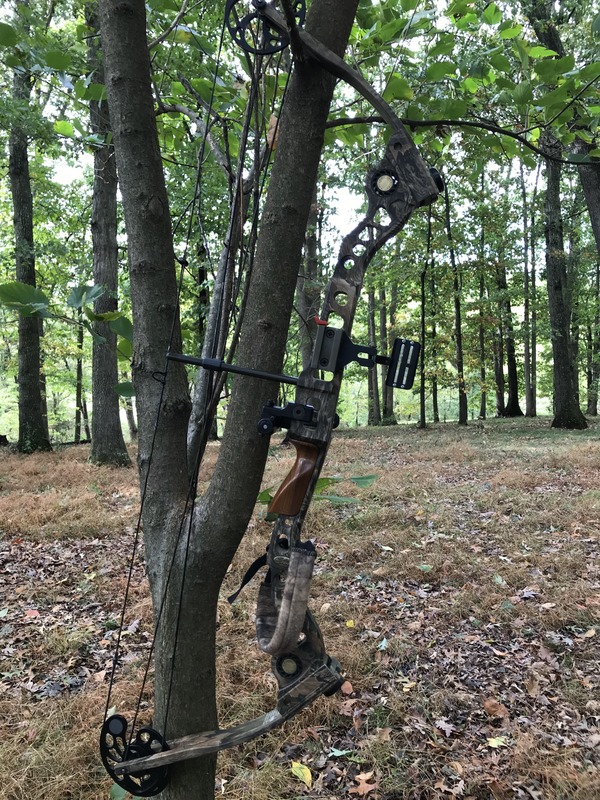 Second problem, no target stand. Brief digression. If a real problem doesn’t exist, I can create one. The problem of a bow solved itself. One of my oldest and best friends, Jim Jacobs, offered me his Mathews Solo Cam Q2XL bow. I brought the bow to Hoffman Archery in Warrenton, Virginia, a local archery shop, to have it checked out. The riser, limbs, and cam were fine, but bow needed a new string and cables. Jim also gave me what arrows and broad heads he had. Some of the arrows were 28 inches and some were 26 inches. I could use the 28 inch arrows, but the 26 inch ones were too short for my draw. So the first expense was bow work and refurbishing. That ran about $160. 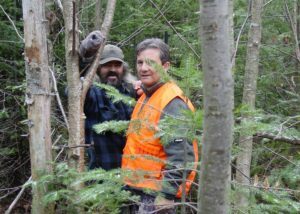 Certainly cheaper than a new bow and I liked the idea of using a bow that I knew my friend had used and with which he harvested many deer. I thought about buying some new arrows, but I figured I had six practice arrows and that was good to start with. That was true until I lost a couple. The 12 new arrows cost $156. I wanted to build a nice target stand like the one I built in Vermont out of pressure treated wood. Lumber, hardware, and nail gun, $396. The stand was solid, but weighed a ton. It should get lighter as the wood dries. I also decided to pick up an arrow fletching kit and string release…about $100. There have been several positive developments. 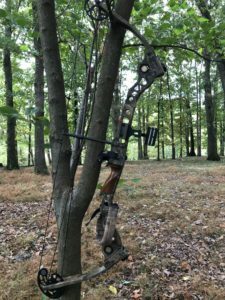 First, I have been going out regularly to shoot both my recurve and compound bows. I am not consistent at being proficient, but am enjoying the journey and I should be ready for my Thanksgiving day archery contest competition. Second, I stumbled on a solution to lost arrows on the occasional whiff past the target…Drummer. After missing the target the other day and not being able to find the arrow that buried itself under the grass, I called to the trusted hunting dog, held up and arrow, let him smell it, and said “fetch.” Damned if he didn’t find the arrow and bring it back to me. To be honest, even when a lie would do, I thought it was dumb luck, a mere coincidence as it were. So the other day upon “misplacing” 3 arrows past the target and finding only one, I called upon the nose of the trusted Griffon. Once again, I showed Drummer an arrow and said “fetch.” Once again he found the arrows and brought them back to me. Who knew that I had an Arrow Hound (pronounced hund) living in the house? That said, I’m not going to include the cost of acquiring Drummer or the vet or food bills into the cost of my archery reboot. 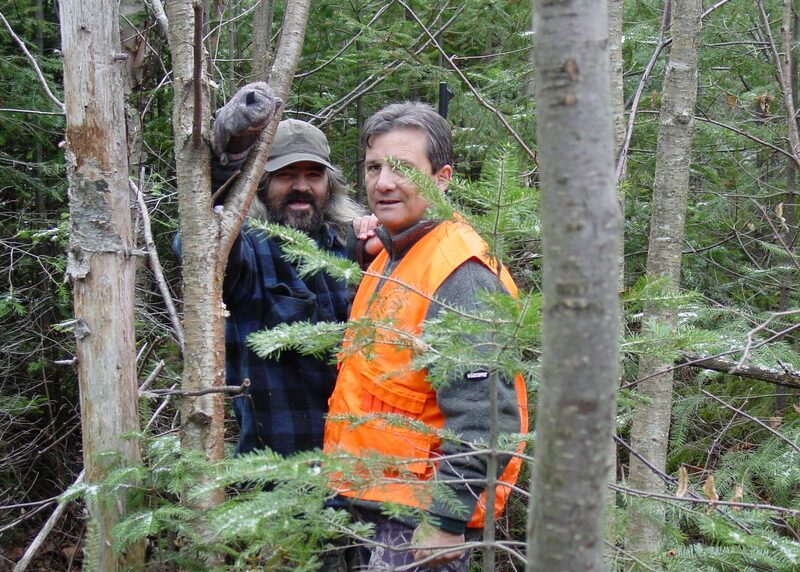 I look forward to next year and maybe a tree stand, a second freezer for venison….